Pauletta Washington and actor Denzel Washington arrive at the premiere of Warner Bros. ‘The Book Of Eli’ held at Grauman’s Chinese Theatre on January 11, 2010 in Hollywood, California. 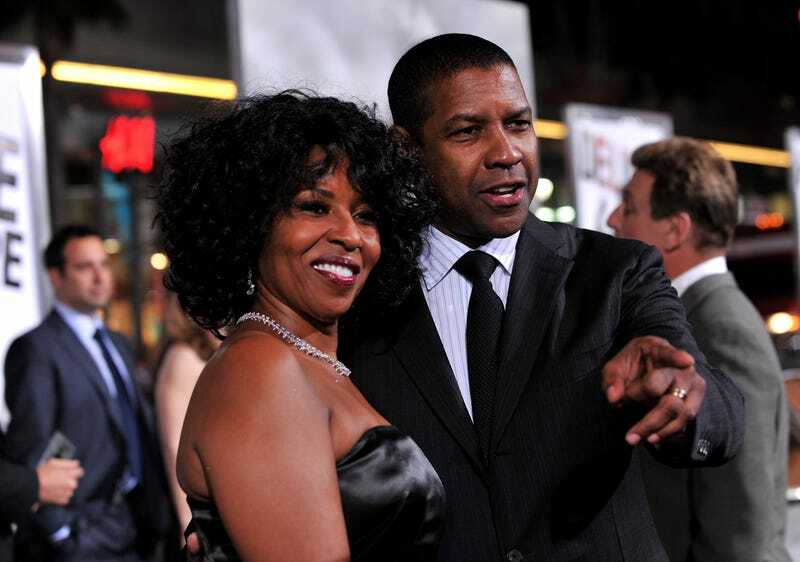 Uncle Denzel has been married to his wife Pauletta for 35 years. Hot damn, they barely do it like that anymore, so how do he and Pauletta do it? “I do what I’m told. I keep my mouth shut,” he joked to People magazine. Uncle also had some few choice words to say about his wife’s cooking, especially her curry chicken (yum), which Denzel has tried to replicate, but has failed. But Denzel refused to spill the deets on what his masterpiece in the kitchen is, not wanting to be caught slipping by the queen of course. “No, let’s not go there. I don’t want to get caught lying,” he told People. Earlier this year, Deputy Managing Editor Yesha Callahan interviewed Denzel and video producer Danielle Young interviewed Pauletta, and got them both to talk about how they first met. Needless to say, there’s two sides to every story.